Any bed bug infestation should be handled quickly so as to avoid further spreading. 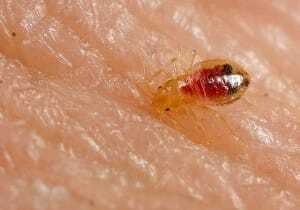 There are several methods that are commonly used in their effective bed bug treatment. Below are some of them. Insecticides This is the most prevalent. These work by dehydrating them or poisoning the mitochondrial system. This requires repeat applications to be effective. The drawbacks include the resistance rate of insecticides derived from pyrethrum which is used widely along with the fact that this treatment method is labour-intensive, costly, and requires a lot of preparation. The use of steam can eliminate them at any stage of their development. This includes the thorough steaming of all materials that have contact with the insect. The drying of clothes should be done using dryers instead of drying them in the sun. Raising the temperature of the infested room to above 45 degrees centigrade effectively kills them as is the use of hot boxes that can be used to keep items. The drawback of heat treatments is the time taken to raise temperatures to the required levels and the fact that the insects hide in spaces where they avoid the heat. Exposure to low temperatures is effective in their control since they are temperature sensitive. Carbon dioxide ice is sprayed through the use of a gun directed at the insect and its eggs. It can also be achieved by placing desktop fans on the floor facing the infested area for three to four hours continuously every day. The use of air conditioning and the opening of windows is also helpful. The main drawback is the retreat of the insects into cracks where they avoid these low temperatures. This method is known to be 100 percent effective. It involves the use of gases in confined spaces. The drawbacks include the cost involved and it requires specialized personnel to conduct it. The spraying of cotton fabric with the fungus Beauveria bassiana effectively controls these pests in 5 days. This method also ensures the elimination of their colonies because an exposed bed bug carries the fungi spores back to their harborage.